Specify your client's profile, define possible portfolios and project them for various market scenarios in a few minutes. A simple and user-friendly way to manage your clients' wealth. Fill in and save your client’s personal situation in a few clicks. Easily create and save market scenarios for different asset classes. 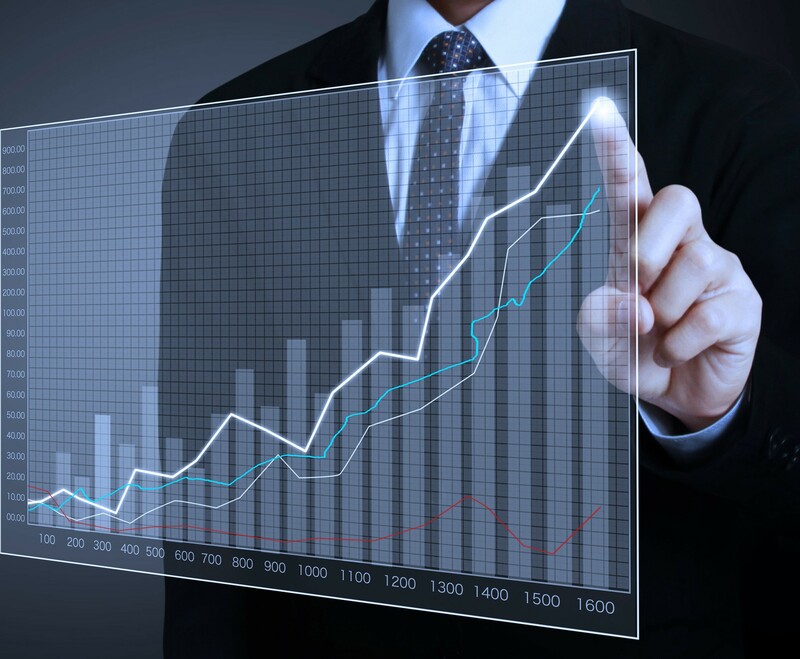 Define and save different possible investments allocations. 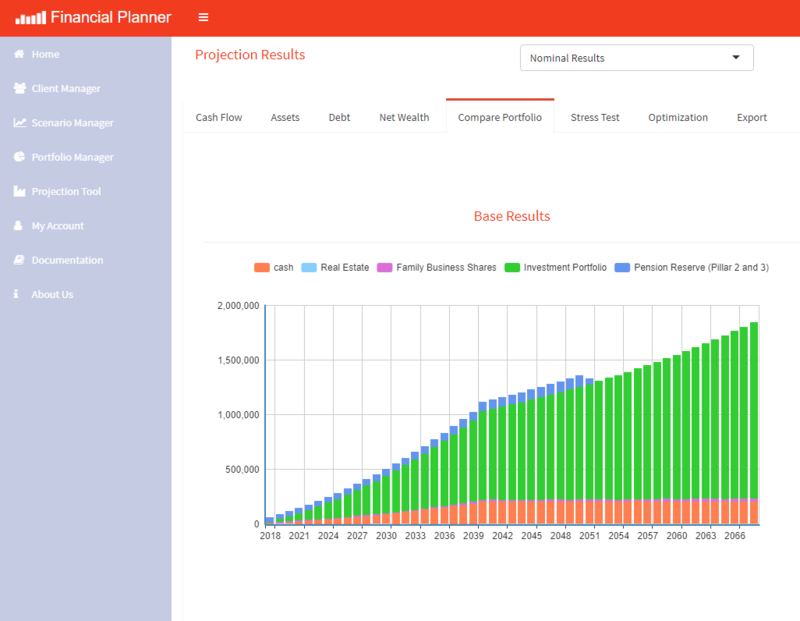 Project and compare your clients profiles, economic scenarios (including stress tests) and target portfolios. Free or paid account? Choose whichever option fits your needs. Create an account and discover the app for yourself : it is free of charge and takes only 1 minute to set up. Our tool is simple to use and dynamic, adapted to your needs, and provides easily exportable results. Our prices are low, and you only pay for what you need. You can change your subscription at any time. Our app is operated on a secured server, and any information stored on the server is encrypted with data protection algorithms. 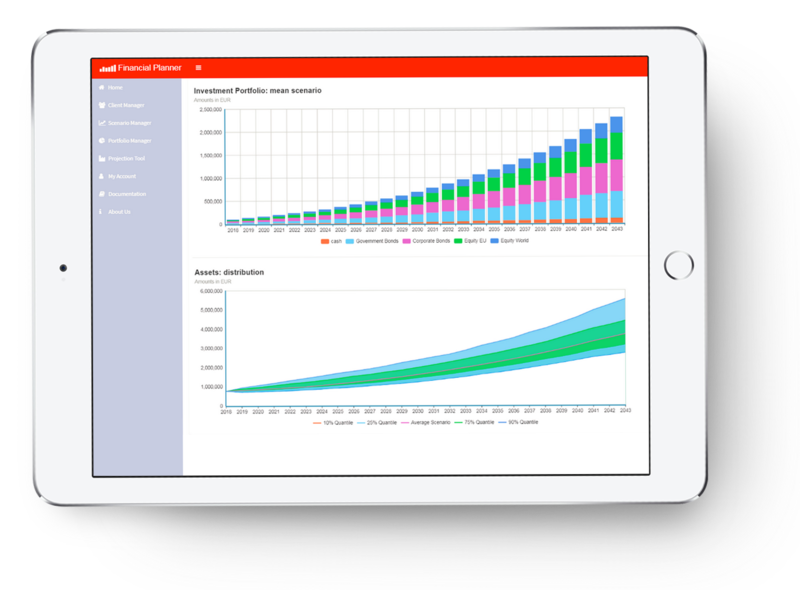 Reacfin’s Financial Planner is a browser-based app, accessible on any device. The Belgian Edition of Reacfin’s Financial Planner accounts for national specificities (including tax per regions and cities, types of mortgage, pensions system, etc.). © 2018 Reacfin. All rights reserved.